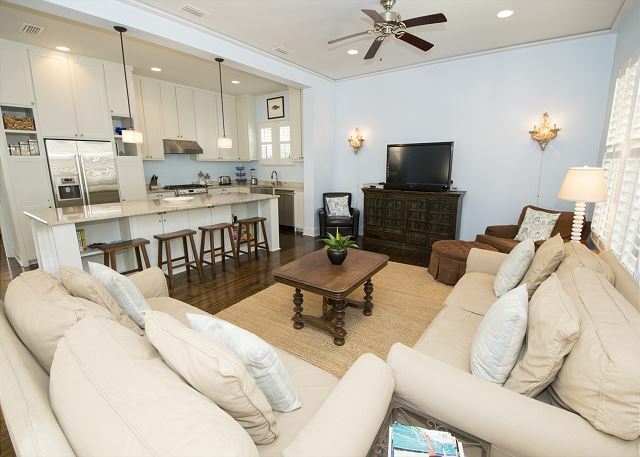 Welcome to Casablanca, your 30a beach escape! This gracious custom designed home by renowned architect Gregory D. Jazayeri has everything you can imagine. 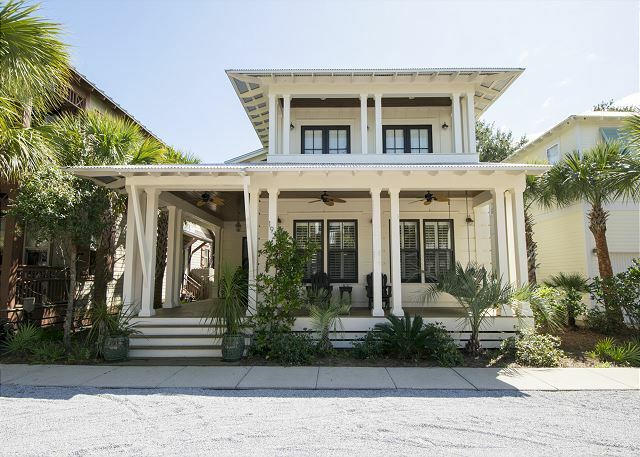 Enjoy your relaxing vacation along the world’s most beautiful beach in one of the most unique and luxurious homes in Seacrest Beach Resort. 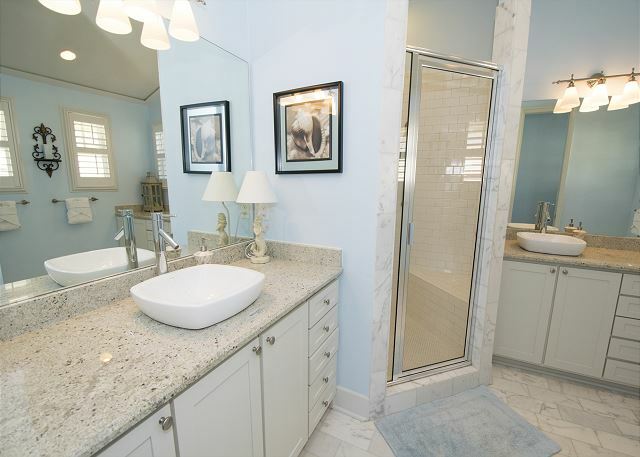 Our 4 bedroom/3-and-a-half bathroom includes 2 Master King Suites, 1 Queen Bedroom, and a 2 Twin Bedroom. 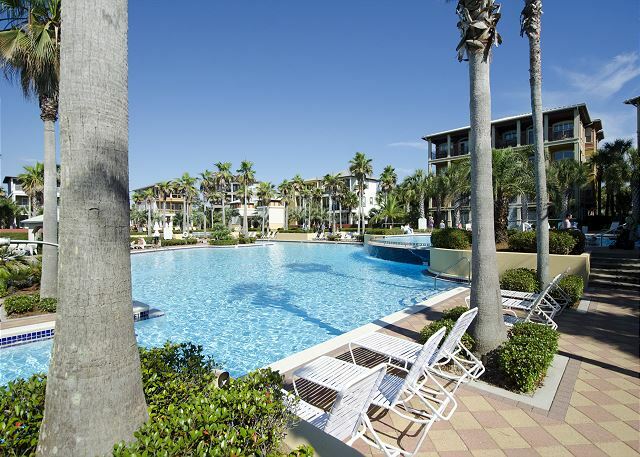 Casablanca is perfectly situated across the street from the beach and a few steps to Seacrest’s luxurious 12,000 square foot lagoon pool. 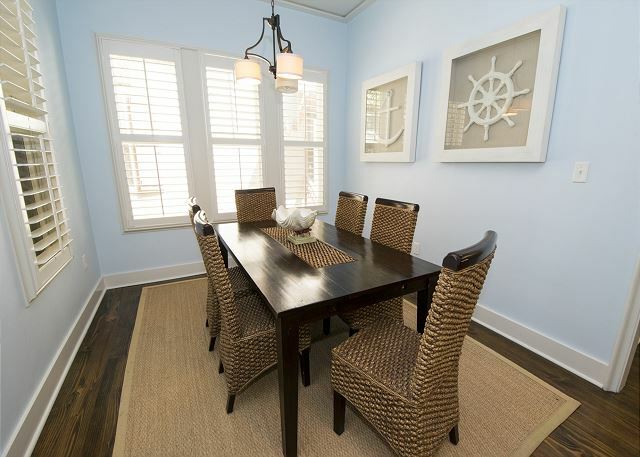 Our home is on the East end of the neighborhood and an easy walk to the shops and eateries in Seacrest Village AND Rosemary Beach. In fact, step out the back door and you are almost there. 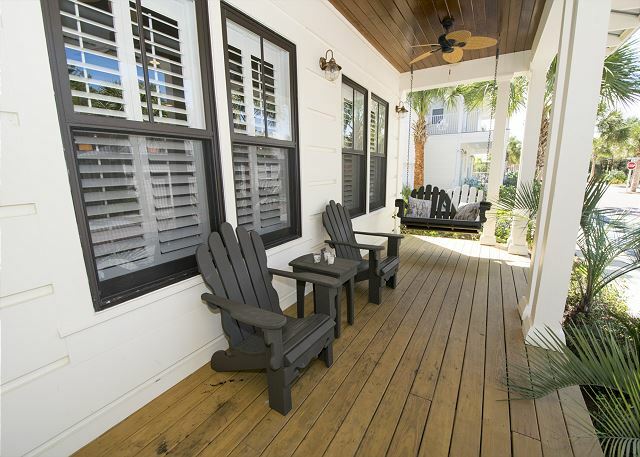 Enjoy a book, cocktails or just sit and relax on the expansive front porch. Lounge under the fans on our two-person swing or in one of the cozy Adirondack chairs. 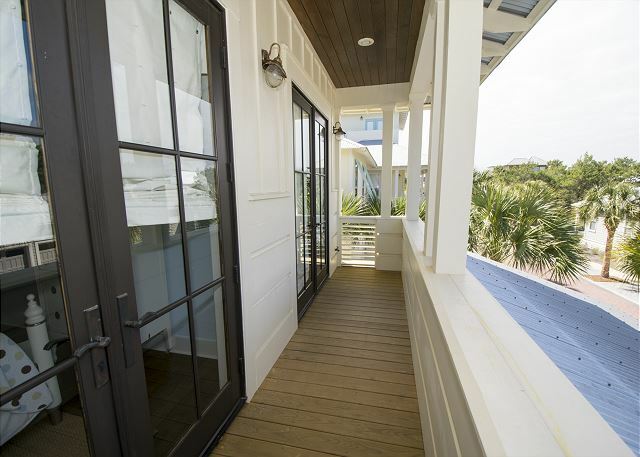 It’s the perfect place to enjoy the fresh, beach air. 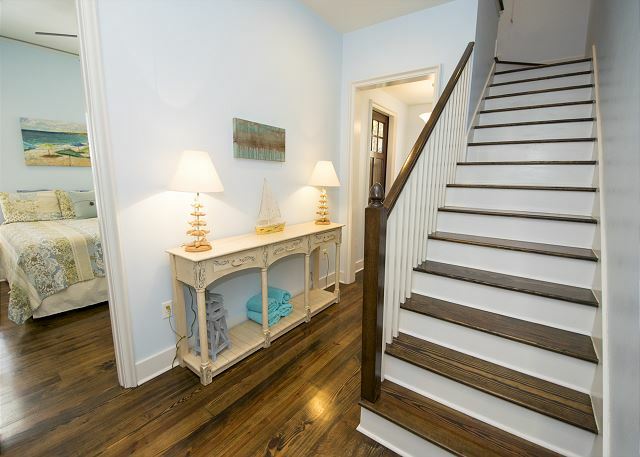 When you enter the home, you are greeted by soaring ceiling, beautiful wide-plank wood floors and calming, neutral colors. 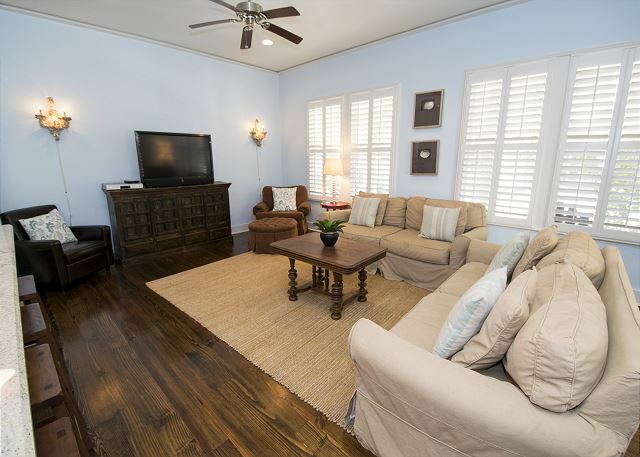 The living room is furnished with 2 large, plush sofas and chairs. 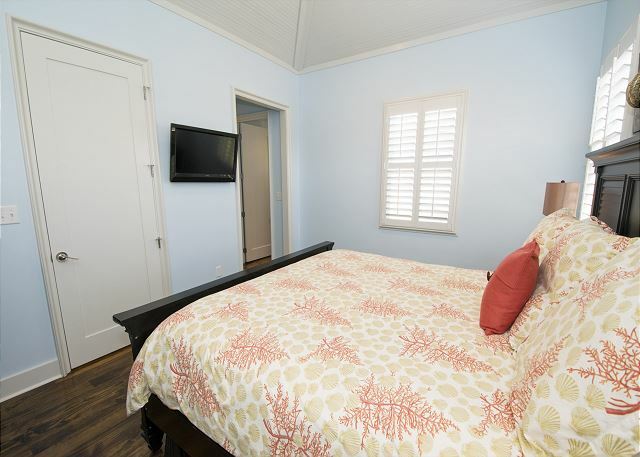 Enjoy flat screen HDTVs, DVD player/movies, an iPod docking station, and free high speed wireless internet throughout the house. 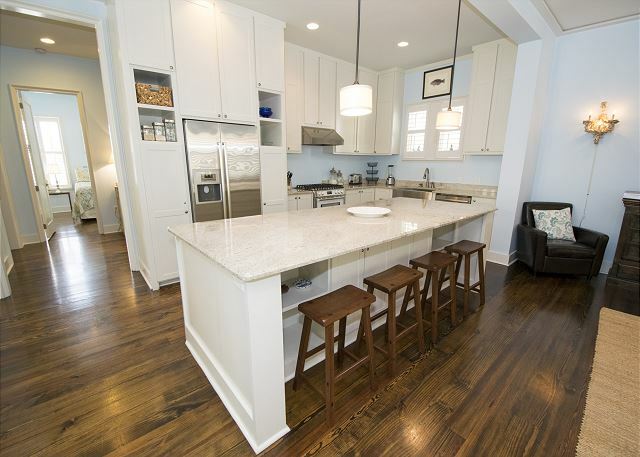 If you love cooking local seafood you will have everything you need in the beautiful kitchen. Our cabinets are well-stocked with cookware and serving pieces. 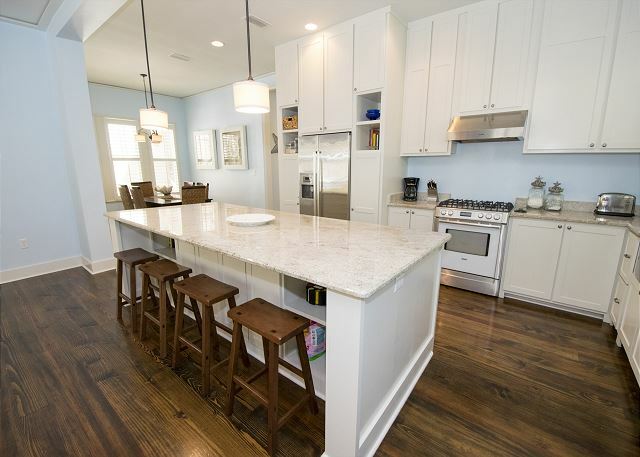 The beautiful granite countertops and Bosch appliances make preparations easy, and the farmhouse sink is so convenient for clean-up. 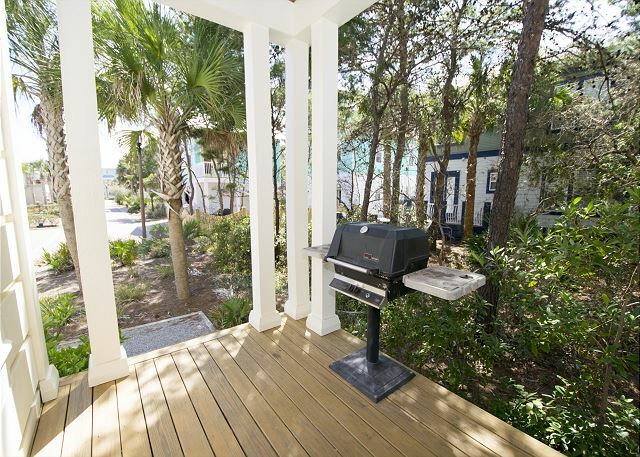 A MHP gourmet gas grill sits on the back deck for char-grilling. 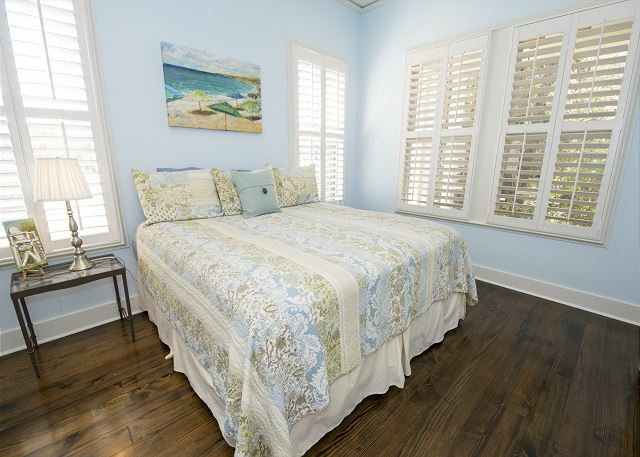 Conveniently located on the first floor is a King Suite along with a spacious closet and private bath. 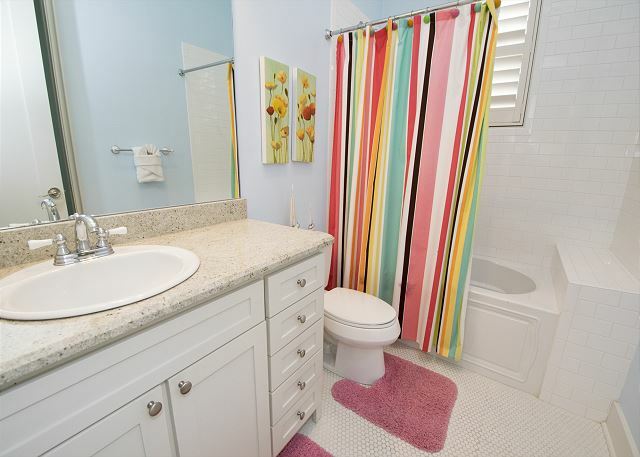 The bath has a walk-in shower, dual sinks, and trendy penny and subway tile. 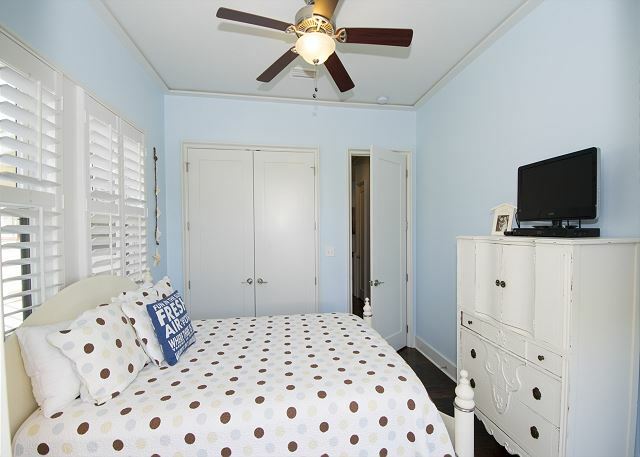 A laundry room, a half bath and beach equipment/bike storage are located off the hallway. On the back deck, you will find a hot/cold outdoor shower. 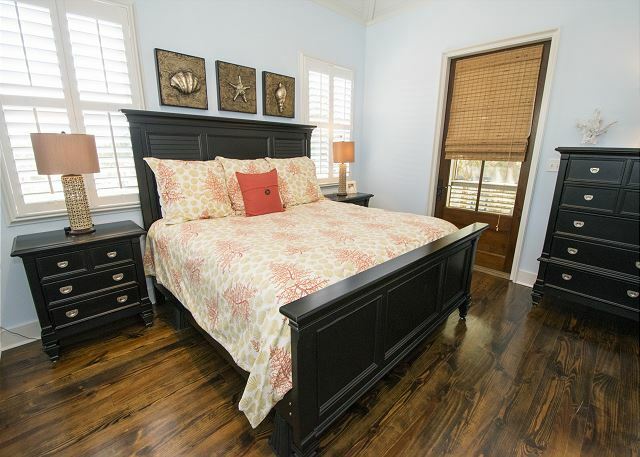 Three additional bedrooms are located up stairs. 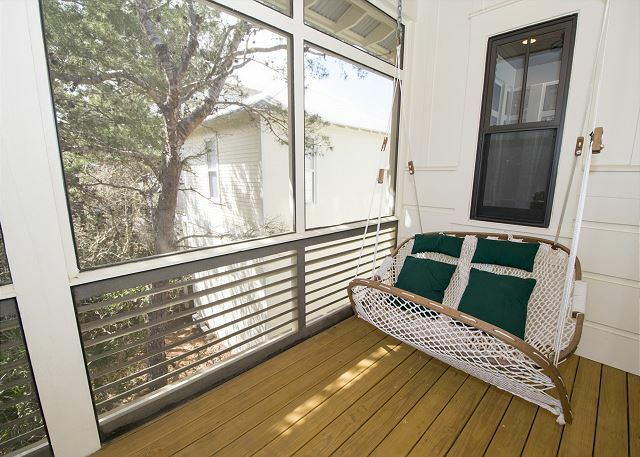 The Master King Suite has its own private screened porch with a 2-person hammock that is perfect for napping. A flat screen TV is hung discreetly on the wall. 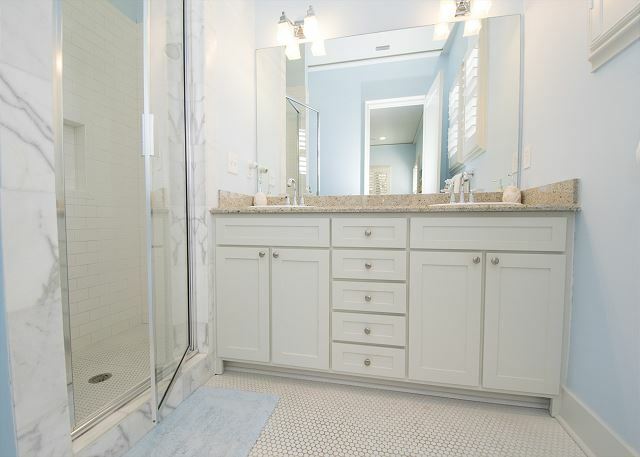 The bathroom features dual sinks and dual granite counters, water closet, marble floors, and a marble walk-in shower with spa-quality rain shower head and separately controlled massage shower head. A walk-in closet provides plenty of storage space. 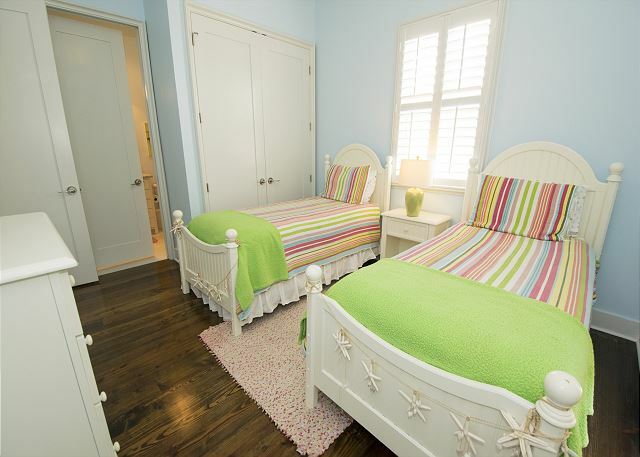 Down the hallway are two additional beautiful bedrooms and a bathroom. 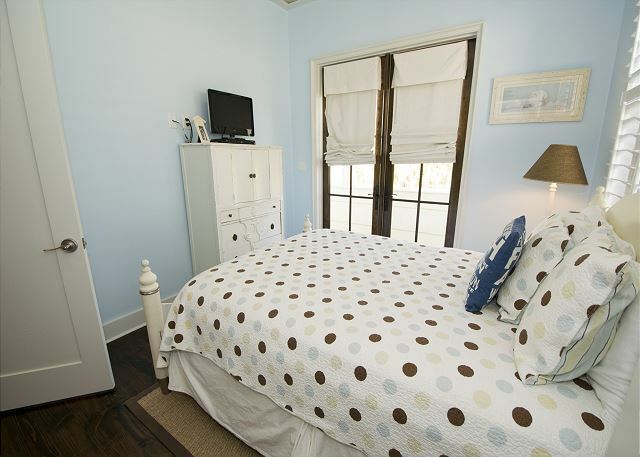 The Queen Bedroom has a flat screen TV, spacious closet and balcony. 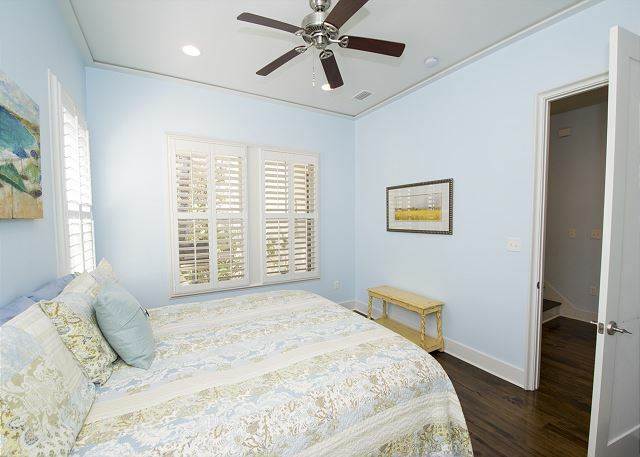 The Twin Bedroom has two twin beds, spacious closet, balcony and adjoins the bathroom which can also be access from the hallway. 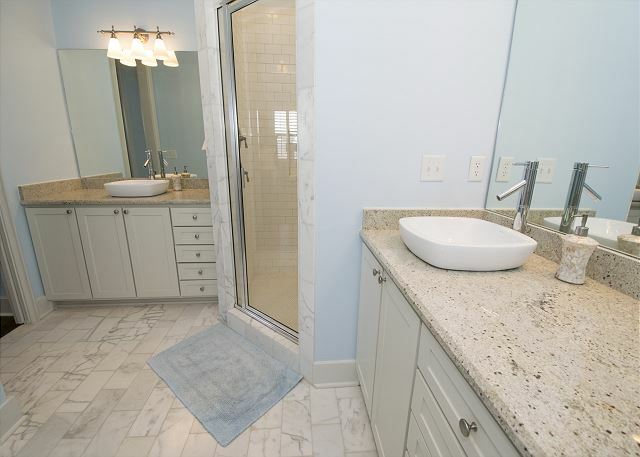 The bathroom has granite counters and a soaking tub. In this house there is plenty of room for everyone. Park the car for your stay. 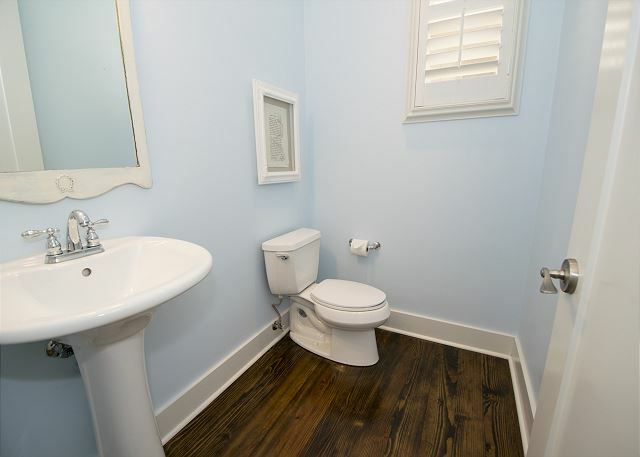 Our house is centrally located and easy walk or bike ride to everything. The free Seacrest tram takes you and all of your gear to the beach so you don’t have to carry anything.